The latest craze in beauty has CBD in products ranging from body oils, to foundations, to foot creams. To be honest, I was hesitant in trying some of the products containing CBD. I’ve never smoked anything in my life and I didn’t understand the difference between pot, CBD, and cannabis. 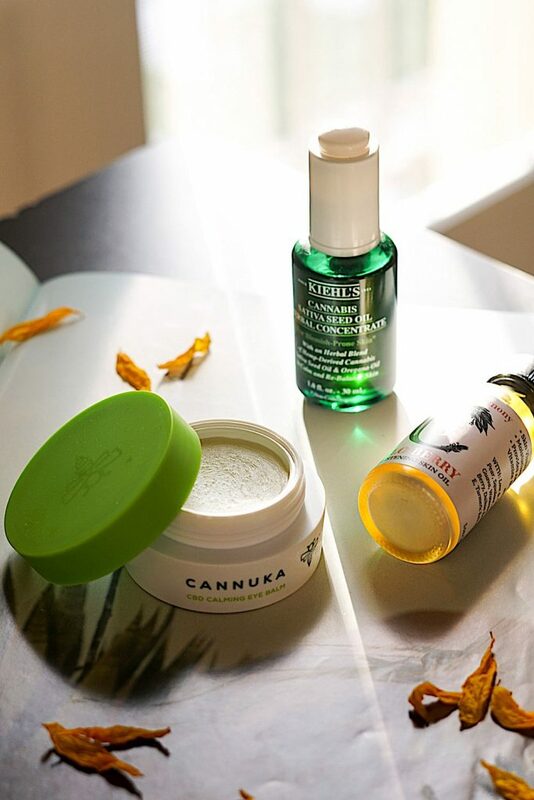 But after reading more about it and it’s benefits, I decided to give it a try and share my reviews of the CBD beauty products I’ve tried out recently. CBD, short for cannabidiol, is a popular natural remedy used for many common ailments. It is one of the 104 chemical compounds known as cannabinoids found in the cannabis or marijuana plant. The two most well-known of these compounds are CBD, which does NOT get you stoned, and THC, which does. So no, CBD CANNOT get you high. There are many health benefits of CBD from anti-inflammation properties, vitamins A, D, and E, and essential fatty acids. 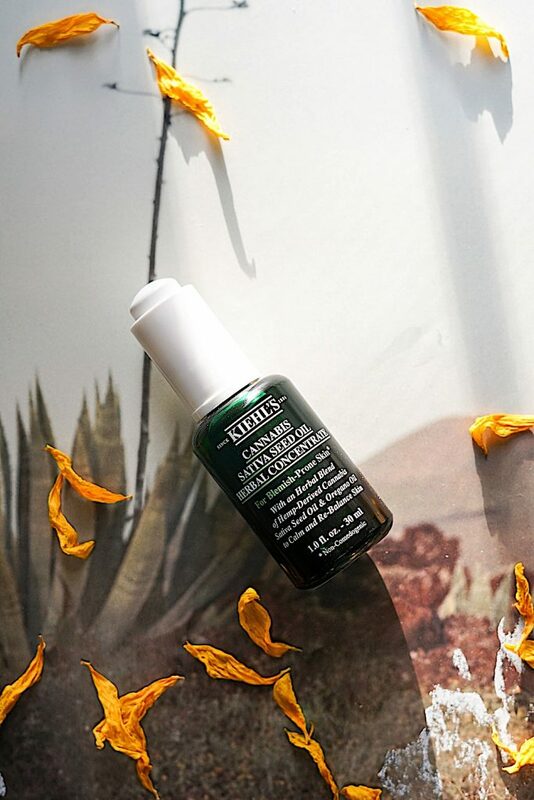 Since the legalization of cannabis in the US, people are realizing more and more how beneficial CBD can be which is why it is being found in many beauty products lately. Here are the top reasons why CBD is great for beauty products. INFLAMMATION: Inflammation is the root of several troubling skin problems. CBD products can help relieve pain by reducing inflammation. DRY SKIN: The fatty-acids naturally present in hemp oil can also be extremely soothing for conditions like common dry skin or eczema. ACNE: May help with acne by again reducing inflammation and sebum production. ANTI-AGING: Known to be an especially powerful antioxidant (maybe even more so than Vitamins C and E). CBD can help revive dry, fragile skin that comes with age and manifests as fine lines and wrinkles. CBD helps replace that lost youthful glow by replenishing dry aging skin with the moisture it needs. I’ve been using the following CBD beauty products over the past month and below are my reviews on them. 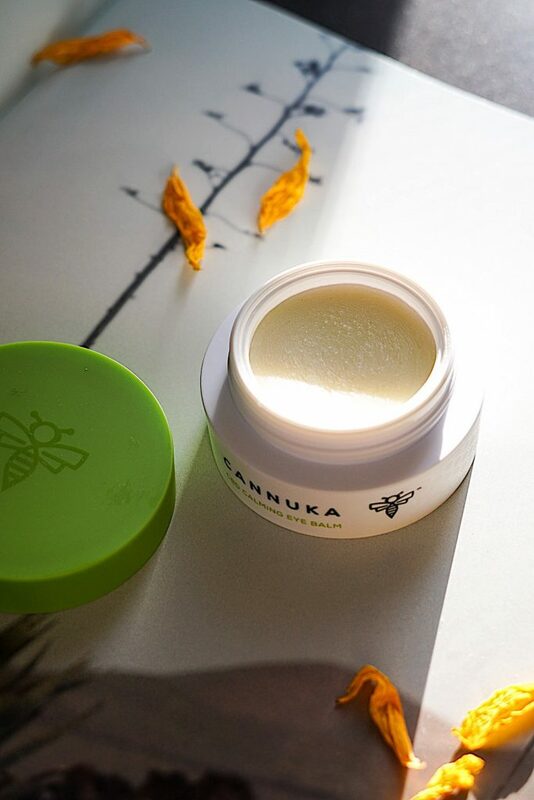 This hydrating balm is used to moisturize, refresh, and protect delicate under-eye skin. To start, this is an eye balm not an eye cream. Rather than being creamy, is more like a solid chapstick. To apply, you have to rub it between your fingers to warm it up. Personally, I couldn’t get used to this. I prefer more creamy eye care since the skin around there is so thin already. While rubbing it between your fingers is supposed to warm it up, it isn’t like coconut oil where it massages into a liquid. The balm is still pretty solid and I wasn’t a fan. To be fair, I gave it three tries before I decided not to use it anymore. This oil serum is to help moisturize and protect skin with antioxidants, vitamins, and fatty acids. You shake it before use and you can see tiny sparkles that adds that glow to make your skin look healthy, beautiful, and radiant. I use it as a primer after my lotion and sunscreen. I love the glow this skin oil gives. I use it on my face and also on my skin. It is great for the upcoming spring and summer months when you want to add a little shimmer to your face and body. The oil has a lightweight a scent that fades quickly. Overall my face looks more dewy when I use this under makeup and my skin feels more hydrated. Other than that I also love that it is affordable, vegan, cruelty-free, and a clean beauty product. I would recommend this oil serum if you want to try a product with CBD to give your skin a little shine and absorb some CBD benefits. 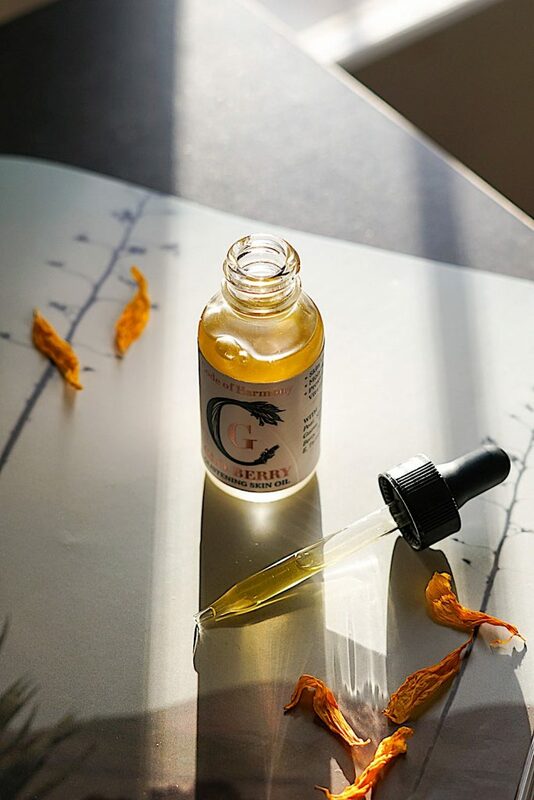 A lightweight, noncomedogenic herbal concentrate facial oil infused with cannabis sativa hemp-derived seed oil that is supposed to calm skin and reduces redness. I started using this because I’ve been noticing lots of breakouts especially around my forehead and chin area. Wanted to test out if CBD really helps reduce acne with this concentrate. 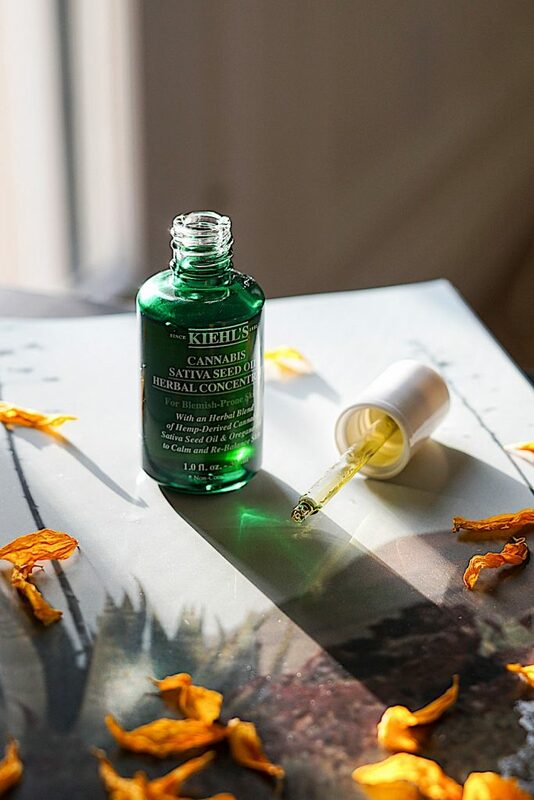 I use this Kiehl’s Cannabis oil twice a day right after toner. I’ve noticed my skin feels more calm and a little less red. It definitely is great during the cold weather climate helping with dryness as well. It also has a light scent which again goes away pretty quickly. I’ve been using this for two weeks and feel that the combo of the Cannabis Sativa Seed Oil and Green Oregano Oil helps to reduce reduce, soothe skin and combat acne. I am going to continue using this oil and see how much my skin clears up. Below are the products I’ve tried and tested and some others that are on my list. 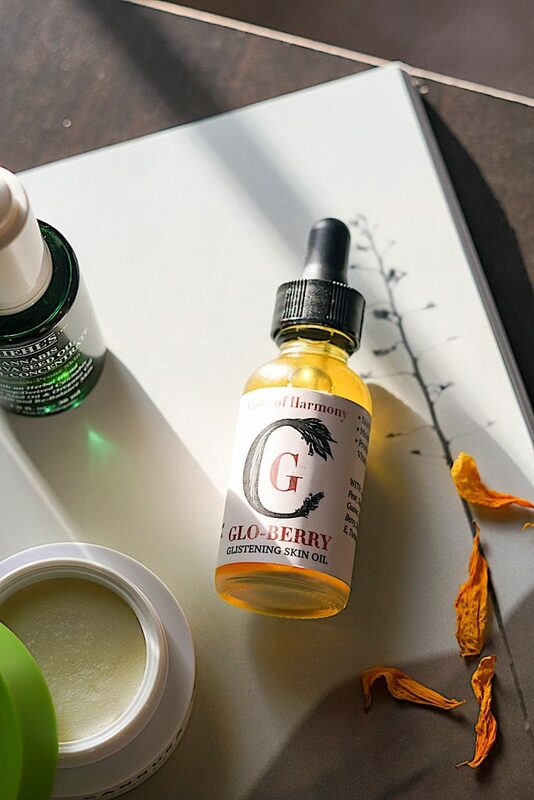 Have you tried any CBD beauty products recently and what has your experience been with them? Any favorites? Let me know in the comments below! I love to read your blog about beauty product. Not only your pictures are very artsy, your information is always very updated and with what the trend is on. I am interested in the CBD Calming eye Balm. I know you are not a fan of it. I happened to like anything to be warmed by fingers first. I might just order online and give it a try. Thank you for always sharing what’s new in the skincare field. Keep it up Christine. Really enjoy reading your blog. superrr interesting read! Thanks for sharing! I am all about CBD oil, whether it’s in a matcha latte or in my skincare, I’ve noticed a great improvement in skin redness and inflammation, plus it’s helpful when I can’t sleep! This is so interesting! Need to try it! I’ve heard that CBD works wonders in the skin. I personally have not tried any product with CBD, but I have to say that I’m curious about it. I have dry skin and Kiehl’s might help with that. Thanks for sharing your thoughts. I recently heard about CBD in beauty products. I haven’t tried any but love the benefits you’ve shared with us. This is such a great post! I think i might try the Kiehl’s Cannabis oil! I struggle with breakouts so I think this might be a good product to try out. Thank you for sharing this! You posted this at the right time – I’ve been looking into CBD products because I’ve heard about their benefits! I was looking more into their capsules/powder for a diet supplement but I never knew they came in skin care products as well. Thanks for sharing! LOVE this beauty read! Sounds interesting! I have never heard of this brand before though but would love to search and see! I love using it too. Glad to know that you’ve tried it as well!